Published Feb 6, 2018 By Julia 93 CommentsThis post may contain affiliate links. 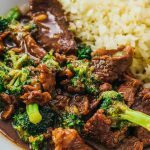 A quick beef and broccoli recipe made in the Instant Pot pressure cooker, similar to a Mongolian beef stir fry. 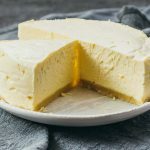 Easily adaptable for a low carb / keto lifestyle. 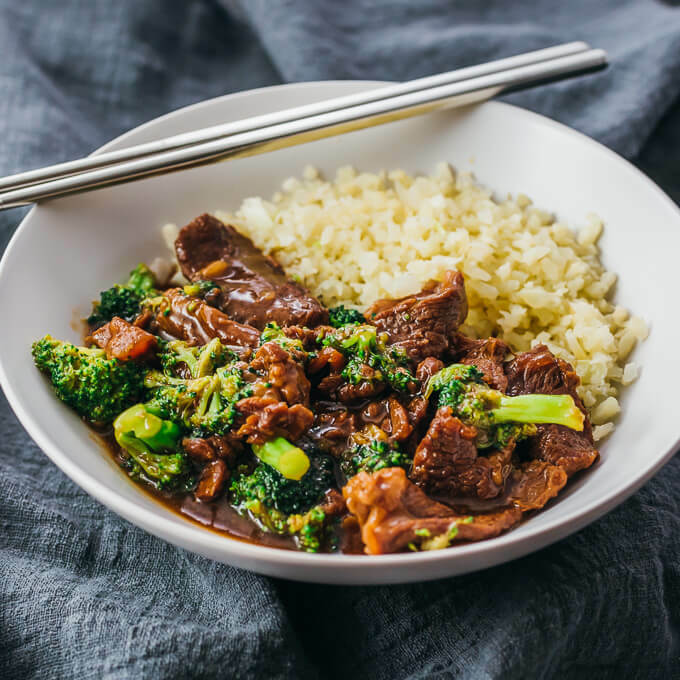 This Instant Pot Beef And Broccoli recipe is adapted from my previous beef stir fry dishes — Mongolian Beef, Crazy Good Beef And Broccoli (and its low carb companion), and Slow Cooker Beef And Broccoli. It’s very similar in taste and texture, with tender beef slices and delicious bites of broccoli. 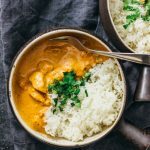 You can make this for a quick weeknight dinner for a family of four, or easily double the ingredients for a larger crowd. This dish goes well with a variety of sides, including cauliflower rice and spiralized vegetables. The choice of meat is important. I recommend boneless chuck roast beef, which becomes tender when pressure cooked. 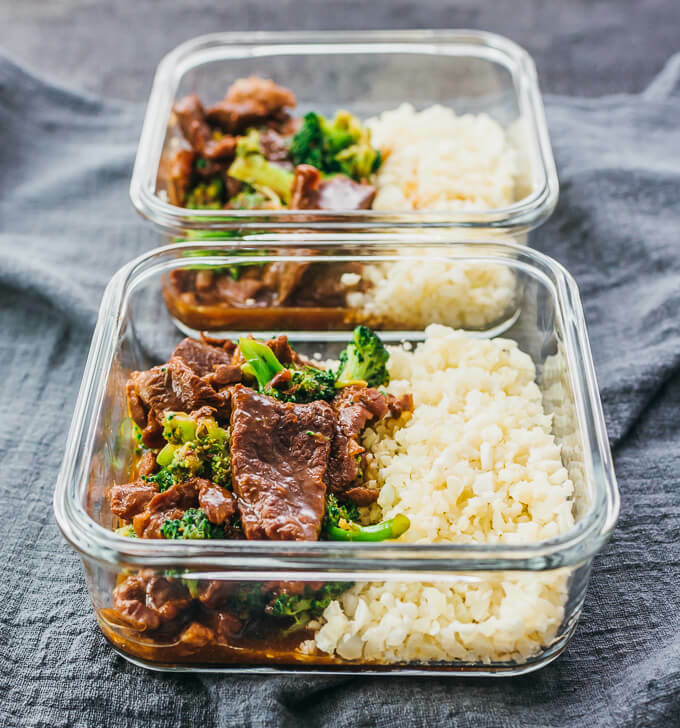 Don’t use common stir fry cuts like flank steak because those are intended for quick searing on a pan and will end up overcooked and tough when pressure cooked. If you can, choose a cut of chuck roast that is well marbled. 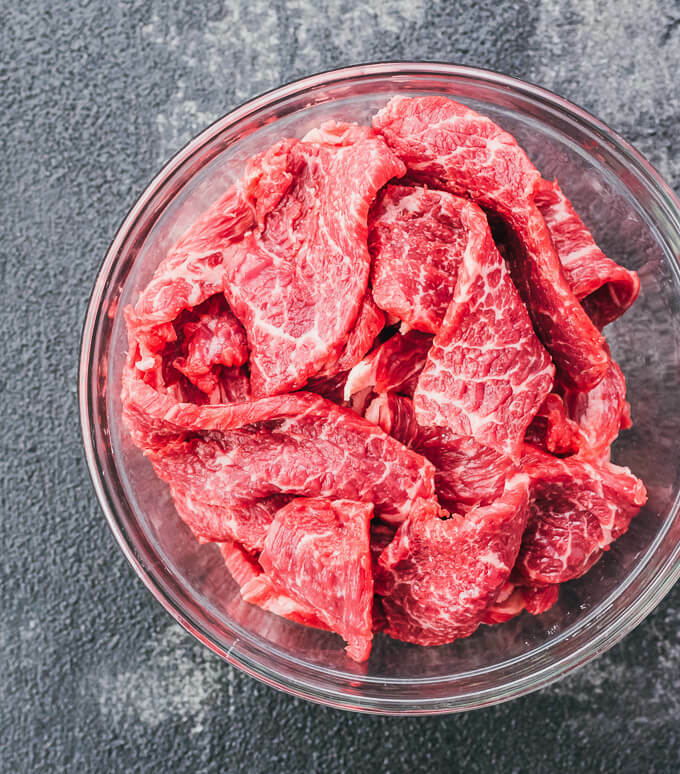 Marbling refers to the fat within the meat between the muscle fibers. High quality steaks have lots of evenly distributed marbling, and lower quality ones with have very little or almost no visible marbling. Well marbled meat has sufficient fat to provide a juicier texture when cooked so that the meat isn’t dry and flavorless. Choose a well marbled, boneless chuck roast cut for the beef. For the sweetener, I recommend using a dry granulated sweetener. For low carb folks, use erythritol or Swerve. For everyone else, use brown sugar. 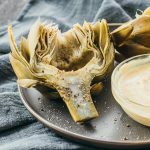 Don’t eat this dish by itself; serve with side dishes such as cauliflower rice or spiralized vegetables. I recommend about 4 ounces of cauliflower rice per person. You can microwave the cauliflower rice to cook it while waiting for the pressure cooker. If you’re not low carb, you can serve with medium grain white rice or noodles. You can double the recipe to meal prep for a week’s worth of lunches or dinners. If you double the ingredients, you don’t need to increase the pressure cooking time. Select the sauté mode on the pressure cooker for medium heat and add canola oil. When the pot is hot, add garlic and sliced beef. Cook for a few minutes until browned, stirring frequently. Add beef broth, soy sauce, and sweetener. Stir together to dissolve the sweetener. Turn off the sauté mode. Secure and seal the lid. Cook for 15 minutes at high pressure. While waiting for the pressure cooker, cook broccoli by microwaving for 3-4 minutes until tender. When the pressure cooker is done, manually release pressure by carefully turning the release knob to its venting position. Uncover the pressure cooker and remove about 1/4 cup of liquid. Mix it with corn starch in a small bowl until completely dissolved and smooth, and add it back to the pot. Turn on the sauté mode for medium heat. Let the sauce simmer for about 5 minutes to thicken it a bit, stirring frequently. Turn off the sauté mode. Add cooked broccoli back to the pot and briefly stir to coat with the sauce. Serve immediately with a side such as cauliflower rice. This recipe yields 8 g net carbs per serving. Nutrition information assumes the low carb sweetener erythritol is used, which cannot be digested by the body. This was amazing! My husband loved it and wants more soon! Thanks for sharing this recipe! Is the cook time the same if I double this recipe? Yes, keep the pressure cooking time the same. Love your recipes – this one is next on my list. Do you use the steel pot or the nonstick? I use the stainless steel pot insert that came with my Instant Pot. Is there something other than cornstarch I could use? My husband was recently diagnosed w/Parkinson’s (50s) and he’s finding out cornstarch makes him burp endlessly. Other foods as well now do this and we think it’s probably certain foods now cause him to be “gassy” now that he has meds for his Parkinson’s. Before meds he was fine with cornstarch and the other foods spices etc that now cause him to burp excessively. 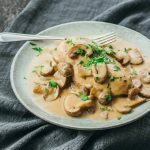 Any help would be appreciated as this recipe looks sounds delicious. I don’t know of anything that will work as well as corn starch in terms of tenderizing the beef, but you can try replacing it with regular flour. Julia, please correct me if I’m wrong. I thought that using cornstarch to tenderize the meat was done in the marinating process before you cook the meat. To me, it would seem like Samantha could use something other than cornstarch since it would be added at the and of the actual cooking process, just to thicken the dish. I like cornstarch in Asian dishes as it makes the sauce “clear”. You are correct. My mistake. In this case, other thickeners like xanthan gum would be a suitable substitute for corn starch. The final texture might not be identical, but it would certainly help with the sauce’s thickness. I am form Japan and we use Potato starch for thickening. I have used tapioca starch as a thickening. Had to buy such a large bag to use in some skin care products, I had to do something else with it! Arrowroot powder or Agar powder for thicker. I used more beef and no extra broth. Also used honey but a 1/4 cup. Turned out excellent! Could you use xanthan gum instead of the corn starch? Seems like it might lower the carbs? Not in this case. Corn starch tenderizes the beef, which xanthan gum can’t do. I’m looking to make freezer meals to keep us going after baby number 2 joins us! My husband and I LOVE this dish. Does it freeze well and if so, how long would you recommend it can stay in the freezer? Thank you! Hi Alli! I haven’t tried freezing this so I can’t say for sure, but I think it would freeze reasonably well. The broccoli might be a bit wilted after reheating, which I personally don’t mind. I’ve frozen this meal. Freezes well. I didn’t notice that the broccoli was wilted. I froze it in a separate bag to add last like the recipe. If worried about wilting you could add fresh broccoli on top after meat has cooked. Need to alter cooking time a little if you throw in frozen. But I can’t remember the times I used. If using a sugar substitute like Truvia do you use that products recommended equivalent amount or stick to the 1/4 cup amount as listed? I don’t want to use too much of substitute sweetener. Thank you. You should make a conversion by looking at your sweetener’s packaging to determine how it measures compared to sugar. Or you can add it to taste. Don’t use the 1/4 cup amount as listed if you’re not using the same sweetener and haven’t done the math.